Bharatiya Janata Party (BJP) leader Manohar Parrikar on Monday resigned as the country's Defence Minister, a day after Goa Governor Mridula Sinha appointed him as the Chief Minister and asked him to prove majority in the assembly. Parrikar, who will take oath as the Chief Minister tomorrow, has been asked to prove majority on the floor of the Goa legislative assembly within 15 days after administration of oath of office, said a letter issued by the Secretary of the Governor. 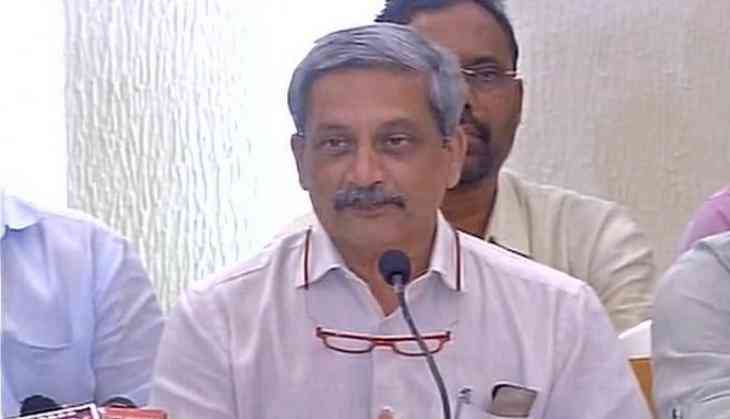 The letter added that Parrikar had submitted evidence before the Governor - the support of 13 MLAs of the Bharatiya Janata Party (BJP), three MLAs of Maharashtrawadi Gomantak Party, three MLAs of Goa Forward Party and two independent MLAs, thus having a total of 21 MLAs in the 40-member Assembly. The BJP finished second in the state with 13 seats, with the Congress leading with 17 seats. The BJP MLAs led by Parrikar called on the Governor last evening and formally staked their claim to form the next government. Parrikar said though the BJP fell short of the numbers required to form the government, the magical figure of 21 seats is achieved with the help of alliance partners. Parrikar said he will give a stable government, which will work for development of the state.